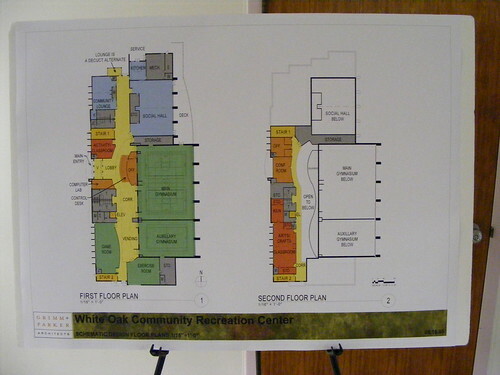 Green design was the key phrase at last night's community forum for the proposed White Oak Recreation Center, but resident concerns about pedestrian access threatened to sink the planners' environmentalism. Roughly twenty people came to a presentation about the facility at the White Oak Library, roughly a mile away from the recreation center's future site near the corner of Stewart and April lanes. Officials from the Department of Recreation gave a presentation about the kinds of programs the facility will offer, while the architects talked about their goal for LEED Silver certification. LEED - standing for Leadership in Energy and Environmental Design - is a 69-point rating system created by the U.S. Green Building Council and used to reward environmentally-friendly or energy-efficient construction. Environmentally-sensitive features that will appear in the recreation center include porous paving surfaces for parking lots, window fins to direct natural light and reduce glare, and a geothermal heating system. While the center was first proposed twelve years ago, the design process only began last winter and has gone through several iterations in an attempt to strike a balance between a difficult site, a complex program, and the LEED rating. "We have been significantly around and around" on the design, said Jeffrey Bourne from the Department of Recreation. The department is working with local firm Grimm + Parker on this and another recreation center currently under construction in Layhill. Plans for the proposed recreation center. At 33,000 square feet, it would be one of Montgomery County's largest. 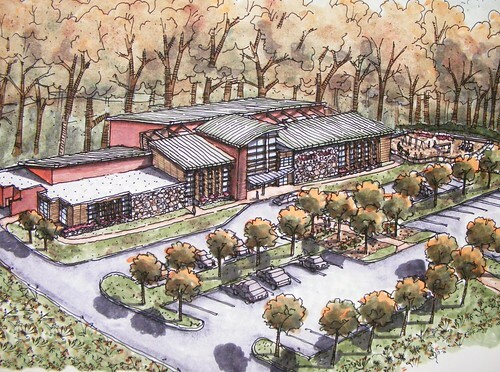 At 33,000 square feet, the facility would be one of the Montgomery County's largest, featuring two gyms, a computer lab, classrooms, a "community lounge" for senior citizens, and social hall capable of holding two hundred people opening out onto a deck with views of the woods and possibly the Paint Branch. Outside, the center would include basketball and tennis courts, two small playgrounds, a multi-purpose field, and a so-called "skate spot," slated to be the East County's first skate park. The fields and skate spot are located on the street, not only because it was the only flat land on the site, but because of neighborhood concerns, explains Steve Parker, one of two principals at Grimm + Parker, an architecture firm with offices in Calverton and Bethesda. "These people saw this as their front yard," Parker said, referring to the apartments directly across the street. Residents who lived further up New Hampshire Avenue expressed concerns about the site's accessibility. Earlier proposals for the recreation center placed it in Martin Luther King, Jr. Park in the Springbrook Village neighborhood. That location was closer to schools and in an area known for a high concentration of families, but it was further away from the concentration of apartments along Lockwood Drive and Stewart Lane, where the bulk of the facility's users would come. The current site, most of which is unbuildable due to steep slopes and the Paint Branch stream valley, is closer to the apartments. A site analysis reveals the difficulties architects and the Department of Recreation face in locating the recreation center and its outdoor amenities. 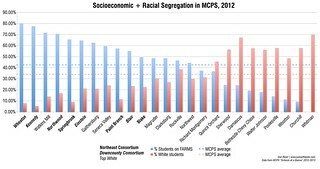 "I'm concerned about kids - at Springbrook [High], at White Oak [Middle], at other schools - and seniors accessing this, because it's a little out of the way," said one woman. One gentleman was unsure how far people within the White Oak neighborhood would be willing to travel to the recreation center, given it was a quarter-mile from the nearest bus stop. "How far will people walk, how far will people bike, how far will people take a bus?" he asked. "Where's the data?" Amy Upton, one of the project architects, pointed to the inclusion of bike lockers and preferred parking for carpoolers as ways the recreation center could discourage driving. "The site is the site," she said. "We're doing the best we can." 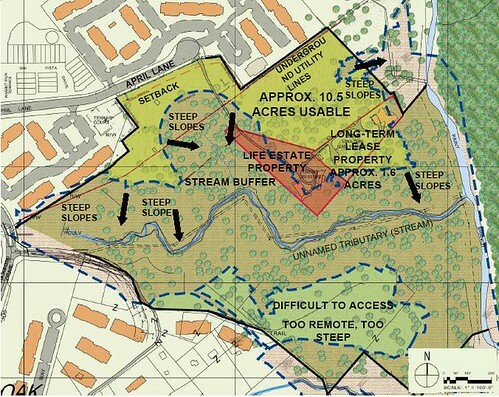 Bourne explained that the Department of Recreation had derived a two-to-three-mile range of potential users for the complex. A representative from the Department of Parks chimed in, stating that there were 7,500 people living within a half-mile of the site and 10,000 people living within three-quarters of a mile, which made walking or biking a possibility for many residents. "When you think about it, it's very accessible," said Steve Parker. 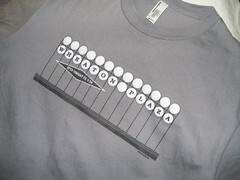 "When you look at Wheaton Regional Park, it's not in the Wheaton town center, but it's in a residential area . . . the building wants to be in the green space."